Jia Baomin, a Chinese painter known for ink and water paintings of bird and flowers is holding a solo painting exhibition at Yanhuang Art Museum in Beijing. As many as 136 paintings are on display. 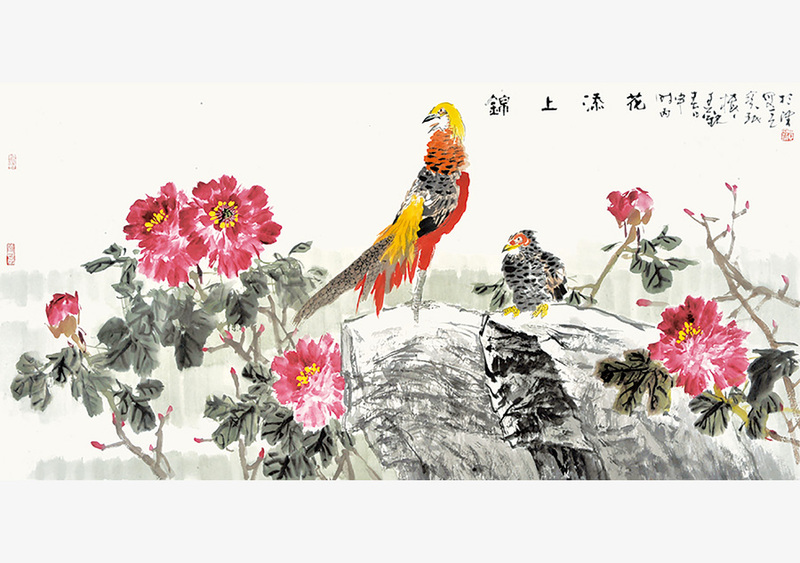 The 75-year-old artists has devoted decades on Chinese traditional painting on birds and flowers, a popular genre in Chinese painting. Born in Tianjin, a city that has a long history of painting of birds and flowers, Jia learned the art from veteran painters like Li Kuchan, Ye Qianyu and Huang Yongyu. He is a professor of Chinese painting with Tianjin Academy of Fine Arts. "His confidence in painting and unique observance of life makes the birds and flowers vivid and natural. His paintings give power for people to chase the purity of life," Liu Dawei, president of Chinese Artists Association said. Besides paintings, Jia has around a dozen books to his credit on ways to paint birds and flowers in ink and water. The show will last until August 21.